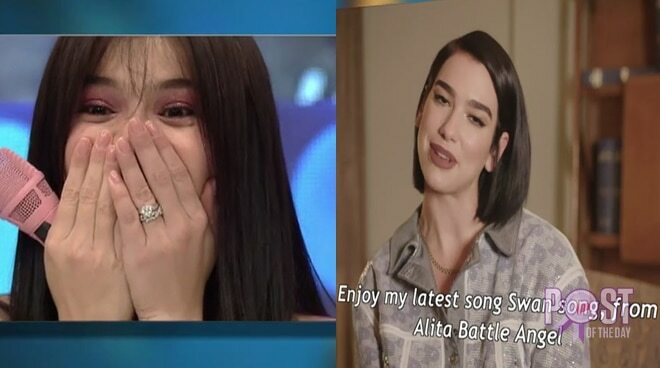 Anne Curtis took to Instagram to express her feelings after international star Dua Lipa prepared a surprise birthday greeting for her which was shown on It’s Showtime. “Real Fantasy. I won’t stay quiet! I won’t stay quiet. MWAH! GUARANTEED YOU TOTALLY BLEW MY MIND @dualipa and I am DYING to SEE YOU perform again real soon! I have no words. (Obvs from my reaction) My fan girl heart is sooooooooo happy. Never in my wildest dreams,” she wrote. Anne turns 34 today, February 17.